For more than 650 of you, the answer is YES! For the first four months of this fiscal year, the CLC team has focused our efforts on outreach. We've been making it a priority to spend as much time as possible with the library community - listening, talking, observing and encouraging discussion. Collectively, Alena, Amanda, Julie and I have attended 28 roundtables, and along with Jen Datum we've spoken with more than 250 of you at statewide meetings and at conferences such as CASL/CECA and CLASS. We’ve also visited over 30 libraries since July 1. Why? 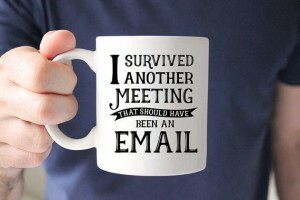 A former colleague of mine had a mug displayed on her desk that boasted this sentiment: I Survived Another Meeting that Should Have Been an Email . In this workplace, sadly, that was the norm. How often do we sit through meetings that are ill-planned or poorly facilitated, resulting in no action? We can all tell horror stories of that person monopolizing the meeting with their tangents, leading us far from the pre-determined agenda - if there was an agenda at all. Or of meetings where there was so much side chatter that no one could hear the speaker. How frustrating for everyone – the participants and the person leading the meeting. Please join us on Wednesday, November 7 from 12:30 to 4:30 pm at the New Britain Public Library for Keys to Meeting Facilitation: A Custom Workshop for Library Leaders . 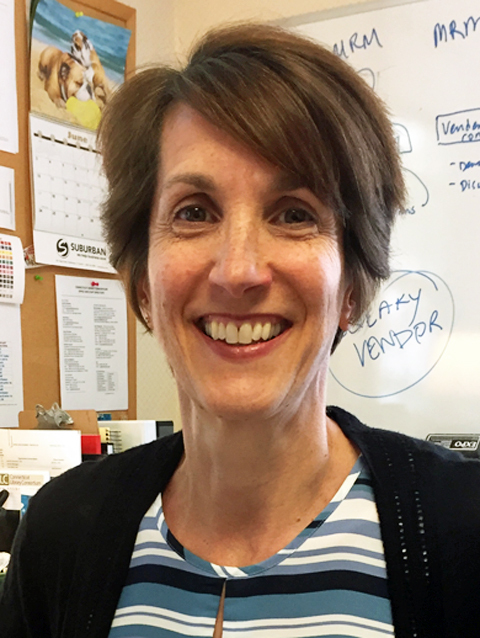 We have worked with training and dialogue consultant Kim Crowley to design an interactive training program specifically for library staff and stakeholders. You’ll learn key preparation tools, strategies to get all participants equally invested, and tips to keep your meetings on track. And by using the provided extensive training exercises, you’ll be able to practice what you’re learning so you can walk away confident and with greater leadership ability. If you are a person who runs meetings, this is a training for you. If you are a person who may someday run meetings, come get a jump start on mastering this important leadership skill. 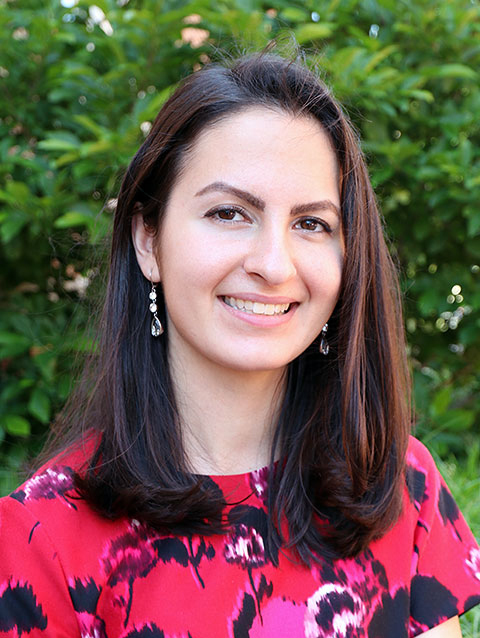 While this training was crafted specifically for the library world, the principles Kim shares can extend into other avenues and can be used in volunteer or family venues as well as professional ones. Invite your Friends, trustees, administrators, and colleagues. CLC is proud to bring you this exciting professional development opportunity. I’m excited to talk about my first experience on the other side of the table at the amazing CECA CASL 2018 conference , held on October 22 at Fox Tower Conference Center. 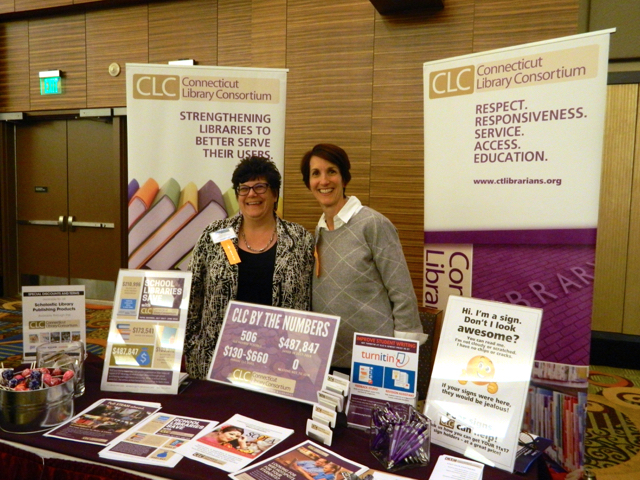 Jennifer and I talked to well over 100 attendees about their interest in CLC and our products, services, and roundtables. We learned that school librarians would like more roundtables, and in particular, specific groups for their school levels. There was interest in a high school roundtable in Fairfield County, and roundtables for elementary and middle school librarians. We will be looking for co-chairs for these groups - please let me know if you are interested, or contact Amanda Stern, who coordinates all of our roundtables. I also had the opportunity to walk around the vendor expo area and talk to several vendors interested in working with CLC. I’ve created a short list of top products and services that I thought would be of interest to school librarians. Did you attend the conference? Did you see a product or service that wowed you? Please let me know so that I can research it and hopefully bring it to you and the rest of Connecticut. How comfortable are you with advocacy? Are you likely to say, "It’s important, but I’m not very good at it?" Or, "It’s important, but I can’t find the time?" Well, Alena and I may have a solution for you. 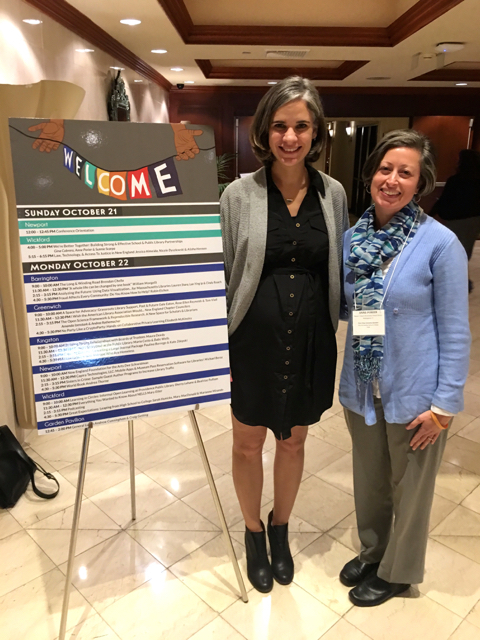 We both attended the American Library Association Advocacy Bootcamp at the New England Library Association Conference on October 21. 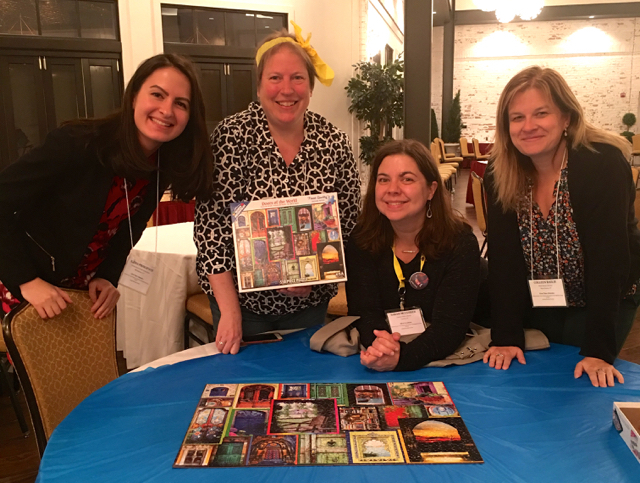 After the workshop, attendees were invited to stay to become part of a team of professionals ready to train librarians back in their home or neighboring states. Once we have a chance to debrief and develop a plan, please be on the lookout for an Advocacy Bootcamp near you. I promise you that no burpees, pushups, or situps will be required. Welcome. The library is your space. Did anyone else feel like the theme of this year’s New England Library Association (NELA) Conference was exactly what they needed? The message of libraries as inclusive spaces was particularly resonant at a time when our society is strained by divisiveness. How can libraries help improve this climate? By welcoming all community members into the library, was the message of many session presenters. They included Marissa Bucci (Ferguson Library) who spoke about Queering The Library: How to Better Serve LGBTQIA+ Patrons At Your Library and Christy Billings (Russell Library) who presented on Reaching Veterans at Your Library: "We Were There": Writing Your Military Experiences. I was proud to see so many CLC member colleagues represented at the conference. Wallingford librarians Sunnie Scarpa (Wallingford Public Library) and Anne Porier (Moses Y. Beach School) shared strategies for collaboration in their wonderfully titled presentation We’re Better Together: Building Strong & Effective School & Public Library Partnerships. They were kind enough to provide a handout with 20 (!) creative ideas, from Book “Tastings” for sharing new books with teachers, to Reading Buddies, a program that pairs high school student volunteers with first and second graders learning to read. What a great model for a successful, sustainable partnership. Throughout the conference, I was struck by how valuable NELA is as a forum for bringing together librarians not only from all of the New England states, but from all types of libraries. It was inspiring to see public, school, academic, and special librarians sharing ideas and learning from one another. 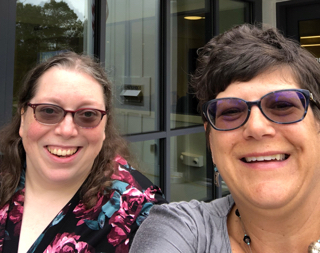 For example, public librarians turned out to learn about how academic librarians at Southern New Hampshire University hosted a Human Library , a program one of them had first experienced in a public library. If you are looking for an innovative way to create community through conversation, this is a great organization to check out—human libraries have been successful in both public and academic venues. I wish I had more space to talk about all of the sessions I attended, and all of the great work that Connecticut librarians shared from our state. If you couldn’t make it to NELA, I hope this has given you a glimpse into the experience. If you did, I hope you will share what your learned with your CT colleagues and carry on the great conversations from #NELA2018! Sunnie Scarpa of Wallingford Public Library (L) and Anne Porier of Moses Y. Beach School shared their tips for building strong school and public library partnerships. CLC has the best consortial pricing in the state on a variety of EBSCO e-resources, including NoveList, ConsumerReports.org*, Points of View Reference Center^, PrepStep^, eBook collections, LearningExpress Library*, Literary Reference Center, and many more. Subscribe any time of year! CLC offers discounted subscriptions for AtoZdatabases ™, a premier job search, reference, & mailing list database. Both new AND current subscribers may participate - renew with CLC and save. Free trial available. Order any time. BUS TRIP ALERT! MARK YOUR CALENDAR! You think the BookExpo bus is fun? Join us on Wednesday, December 5 for a day of fun in New York City! CLC will be sponsoring a special Libraries of Manhattan tour just for our members and friends. 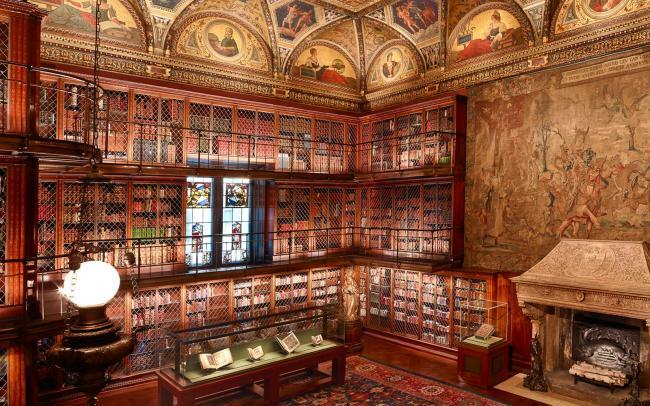 On the agenda: a guided tour of the New York Public Library , and a visit to the Morgan Library (pictured) to view It’s Alive! Frankenstein at 200 , a special exhibit to commemorate Mary Shelley’s great work. Registration info coming soon! Join us for a tour of the 2,400-square-foot, state-of-the-art Collaboratory, a digital media lab and co-working space at the Wallingford Public Library. 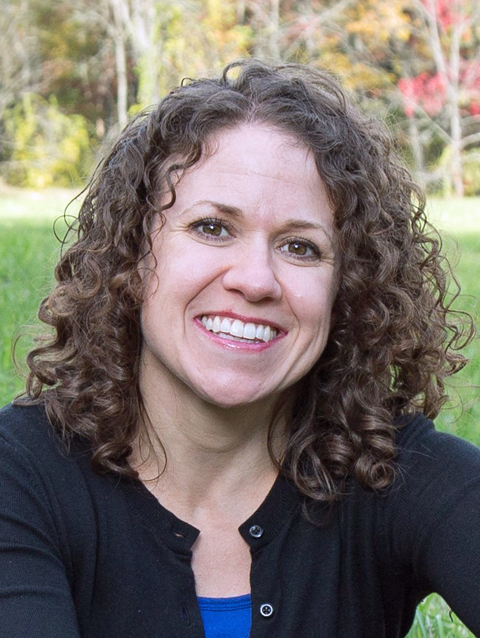 Janet Flewelling, Head of Emerging & Creative Technologies, will share information about the makerspace's creation and resources. Attendees will also share low- and no-cost makerspace successes. Bring your best ideas! We are all familiar with the stack of paperwork that comes with processing orders from vendors. What if we could start making a move toward minimizing paperwork by using paperless billing? A representative from Baker and Taylor will join us to talk about the online billing platform and other billing options, and answer all of your questions. 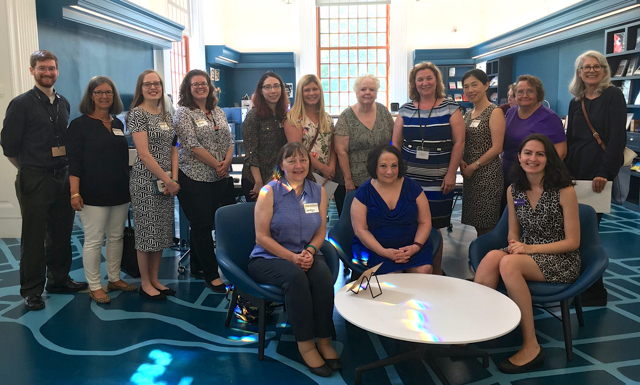 After a long hiatus, the Children's Librarians Roundtable Northeast is back and under new leadership. This will be a brainstorming meeting with a focus on setting a Roundtable schedule with topics of interest to Northeastern Children's Librarians. 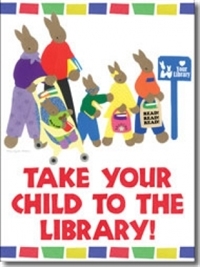 We will discuss Take Your Child to the Library Day as well as other ideas for future programs. These meetings are just a small sample of upcoming roundtables - 16 meetings are happening in November alone! Please explore and register for your favorites. Everyone is welcome at a CLC roundtable. NEW! 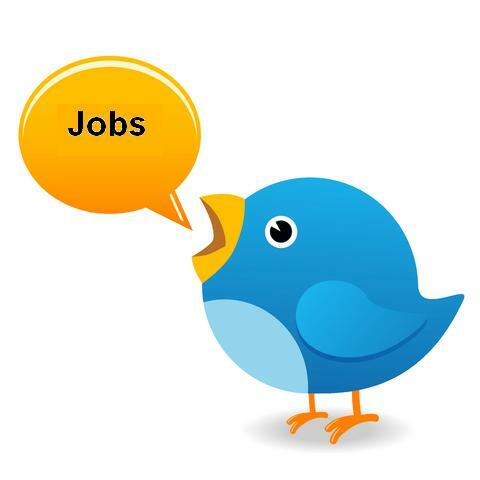 CT Library Jobs on Twitter! When you send CLC a job opening to post on our website, ctlibraryjobs.org , your listing already gets thousands of pageviews (over 9,000 unique pageviews in September alone), plus delivery to over 2,300 RSS subscribers - all free for CLC member libraries. And now, your listings will be on Twitter! Follow #ctlibraryjobs on Twitter for new jobs posted daily. Submit your openings to jobs@ctlibrarians.org . ﻿It's CLC membership renewal time! 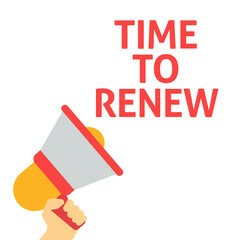 CLC membership runs on a calendar year, and it's time to renew for 2019. Look for your renewal packet in the mail this week. Ready to renew now? Log on to your library's account at ctlibrarians.org . You can download and print your invoice, and pay online too. Contact us for login assistance. Thank you for your membership! You have received this newsletter because your library is a CLC member or partner, or you signed up for our mailing list. To adjust your CLC email settings, log into your CLC account .